The Bible: Foundation of our faith or collection of ancient documents? I don't normally pay attention to what is going on in the world of television preachers. But Andy Stanley has caused quite a stir on the internet over some comments he made about the historicity of Adam and Eve. I am not going to unpack everything Stanley said since this is a topic that has been trodden over more than once and in the end I disagree with his hermeneutic here. If you want to hear what he said go here and scroll to the bottom of the page to see the video clip. 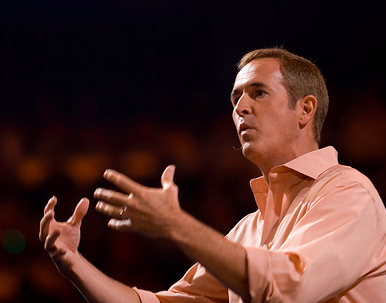 What got me interested was not what Andy Stanley said, but those who responded to him. Denny Burk suggested the Stanley has somehow introduced a "Poison Pill" for the doctrine of scripture. Since then both Scot McKnight and Michael Bird have responded to Burk. What I find intriguing about Stanley's stance here is how he describes the Bible. I think he gets it right, but I suspect the pyres will be burning him for sometime to come. What do you think about his take on the Bible?